Judah P. Davies was born 1822, educated in London, England, and immigrated to Australia in 1840. 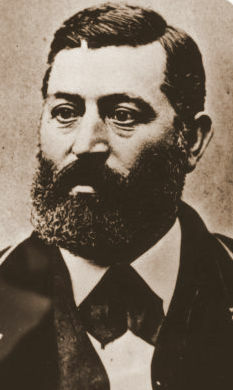 Judah P. Davies and his family left, in 1849, for the California Gold Rush. In 1863, J. P. Davies and family arrived in Victoria. In Victoria, Davies became a successful businessman and auctioneer. J. P. Davies was active in the building of Temple Emanu-El in 1863. Davies was a member of the Masons, Victoria Lodge #1085 GRE, which became Victoria-Columbia Lodge #1. He was also the founder of the Victoria chapter of the International Order of Odd Fellows. Davies married Miriam Harris, who was born in 1819, in London, England. They were married in Sydney, New South Wales, Australia, in 1843. Their three children, Elizabeth, Joshua and Cecelia, were born in Sidney. Three more sons, Henry, David, and Phillip were born in the USA. Judah P. Davies passed away suddenly in 1879. Joshua Davies, son of Judah and Miriam Davies, was born in 1846, in Sydney, Australia. Joshua was educated in accounting in San Francisco before coming to Victoria in 1863. 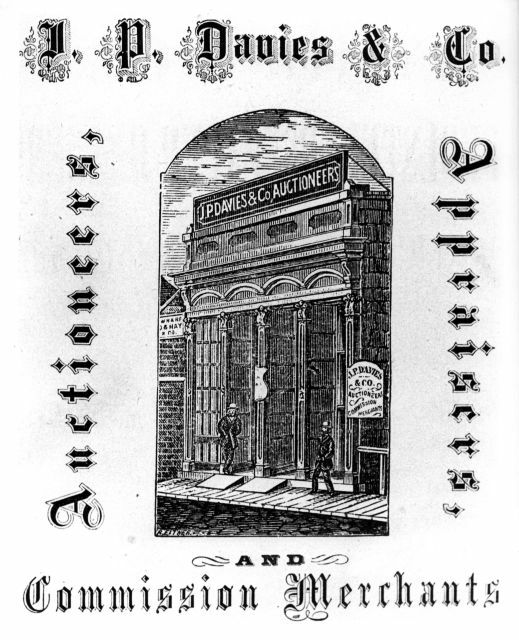 He was made a partner in the family firm, J. P. Davies & Co. Auctioneers, in 1867. Joshua Davies was a Director and then President of the Royal Jubilee Hospital when it was built. Sarah H. Tobe is curator of this Judah P. Davies exhibit.